Can mobile monitoring deliver drinking water security to Africa’s rural poor? 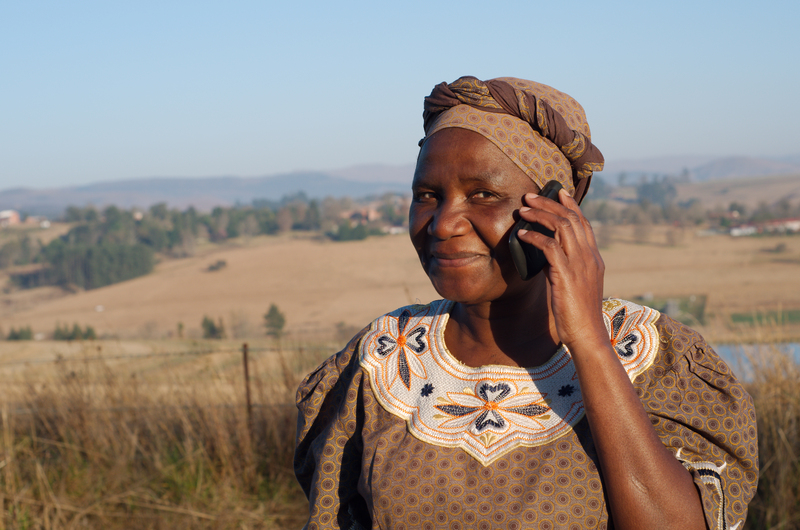 It is sometimes difficult to distinguish between the hype and hope of mobile systems to tackle poverty in Africa. Mobile systems promise to make politics more transparent, give timely data to remote farmers, warn of imminent droughts, increase access to off-grid energy, or get cash quickly to the most vulnerable. All of this supports development and can reduce poverty. Can mobile systems also improve drinking water security for Africa’s rural poor? Around 200 million rural people depend on waterpoints with another 270 million people still waiting for improved access. Rural piped water has inched forward from 4% to 5% in 25 years so that appears a distant promise for the majority anytime soon. Hopefully history is not a guide to the future with the target for a new global goal of universal and safe drinking water services set for 15 short years. Unpacking the rhetoric means installing a handpump and walking away no longer counts, as the world expects to measure sufficient, safe and affordable water for all. That requires some new thinking to avoid mistaking unreliable water infrastructure with safe water services every day. Mobile water monitoring has made recent advances in two relevant areas. First, mapping water supply infrastructure by survey teams using apps on mobile phones. Second, installing mobile-enabled transmitters to collect data continuously. Recent reviews suggest caution in getting too excited too soon. Mobile data are only useful if linked to effective data management systems which inform meaningful response mechanisms. Investing in data collection without sufficient quality control or the means to respond is a false economy, raising hopes, and often leaving people no better off. Mobile health systems have long adopted closed looped systems. One of the few mobile water systems to understand this from the outset has been Grundfos’ Lifelink system. However, low density and difficult to reach rural areas have made their kiosk system less effective than in higher density, peri-urban areas. Mobile transmitters have made some handpumps ‘smart’ by automatically sending usage data by SMS. Trials in Rwanda and Kenya suggest the technology can work and can deliver promising results. Oxford University’s ‘smart handpumps’ offer data with value in four areas: (1) objective monitoring of daily water use, (2) using this monitoring data to identify and fix broken handpumps within a couple of days; (3) condition monitoring to predict failure before it happens, and (4) non-intrusive, shallow aquifer monitoring. The latter two are now translating from proof-of-concept into larger field experiments in 2016. Daily handpump use monitoring by Oxford University has been ongoing in rural Kenya since 2012 responding to one of the new global monitoring goals. In cooperation with the Government of Kenya the work has evolved from successfully testing a rapid maintenance system (2013), to establishing a pre-payment model with communities (2014), and setting up a private company with performance-based contracts (2015). Community payments are contingent on rapid maintenance response. If it takes more than a couple of days to fix the pumps the communities see little value in the service and are unlikely to pay. Critically, institutional coordination is needed to ensure operation and maintenance is done at scale to reduce costs rather than duplicate effort. Kenya’s newly established county governments offer a route to more effective coordination if NGOs and other development actors commit to put sustainability first, which is a non-trivial challenge. Recent advances by Oxford University’s team, in partnership with FrontlineSMS, have designed a pre-payment platform using mobile money for rural water payments. The platform is convenient, secure and rapid, reducing transaction costs by transferring money in a way already used by eight out of ten rural households. The platform keeps track of community pre-payments that are received, allowing confirmation and reminder messages to be sent to a registered set of community members. This ensures financial transparency and accountability, both at community and company levels, which underpins the model. So, mobile monitoring and mobile payments are helping supply reliable water to over 30,000 rural people in Kwale County. But this is a small step given the scale of the challenge. Translating this research supported by the UK government (ESRC, NERC, DFID) into local business models with long-term financial sustainability is the next step being taken. In partnership with UNICEF, the aim is to support other countries advancing new models to deliver reliable water services for all. This blog is part of a series in the run up to the Water Security 2015 conference on 9-11 December in Oxford – www.watersecurity2015.org. These issues will be discussed at the session ‘Monitoring water security’.